A former client of Ikon Communications has told a court that a marketing campaign drawn up by the agency was “a complete flop” that generated “no sales” in a case that is understood to be without precedent in Australian legal history. Advangen, a company that manufacturers hair treatment products, blames the agency for a failed campaign that had a paltry impact on sales and included a TV ad that it claims completely missed its target audience. The legal battle centres on a campaign for Evolis, a product designed to treat hair loss, which launched in Australia in mid-2015. The campaign had been scheduled to run for 12 months from August 2015, but was pulled after only three months. Ikon, which is owned by WPP AUNZ, launched legal action claiming its former client had refused to pay invoices, with Advangen launching a counter claim alleging Ikon was to blame for a massive sales shortfall amid a TVC with misguided creative. Advangen, owned by ASX-listed Cellmid, also argues that other elements of the campaign, including social executions, were not ready by the time the TV spots ran. It is the first time an advertising agency’s duty of care has been challenged in such a way through the courts and is being regarded as a test case such are the potential implications for the agency-client relationship. Outlining the case for Ikon, Todd Alexis SC said Advangen had not paid several invoices for services performed by Ikon and, in addition, had not reimbursed $575,000 paid upfront by the agency to media companies. He said Ikon will call several witnesses to show the work produced by Ikon was up to standard and in line with a services agreement struck by the parties. Media auditor Ebiquity will also say the anticipated reach of the campaign hit targets, Alexis told the court. Advangen barrister John Kelly SC, said the “heart of the matter” was Ikon’s misrepresentation of the product. The court was shown two TV ads, one targeted at women which ran on Seven and pay TV channels, and another aimed at men which ran on digital platforms. The creative featured a woman in one ad, and a man in the other, on a rugged cliff top with the wind blowing through their hair. He said the creative content has initially “overreached and overstated” the product to the extent it was rejected by regulators who oversee the way therapeutic goods are advertised. Ikon then became “more creative” and “moved so far away as to lose the basic message the advertisement needed to convey”. It is not designed to “make people look beautiful…..but to tackle hair thinning and hair loss”, Kelly said. The court heard the content of the proposed advertisement was to feature “real life hair loss stories” caused by problems including hormonal changes, cancer and stress, with the message to sufferers to try a “12-week challenge and share their story”. Examples were contained in the agency’s pitch, he said. Kelly also cited an email from the director of the TV ad who described the script as a “bold and visually rich idea” and “other-worldly” which had a “sophisticated poetic backbone”. He added the campaign was a “complete flop in real terms” that “generated no sales at all and did not make any contact with its market”. Furthermore, it was a “waste or money” and required Advangen to appoint another agency, Chaos, to create a new campaign. Kelly also told the court his client will show other elements of the campaign were not rolled out in a timely way to coincide with the TV ad. Alexis, questioning Advangen chief executive Maria Halasz, sought to highlight discrepancies and unpick suggestions contained in her written evidence that the campaign was haphazard from the outset. Far from Halasz’s claims that the Ikon campaign team chopped and changed “so much”, Alexis painted a picture of consistency with key personal, including executive creative director Rob Martin Murphy, and media buying chief Pia Coyle remaining on the team throughout. He also cited documents that showed meetings between Ikon and Advangen were held on a regular basis. Suggestions to the contrary were “utterly false”, Alexis told Halasz, as were claims Ikon did not have an account manager. “The idea of a chaotic campaign that was devoid of any management is completely ridiculous,” he told the court. Halasz responded that it appeared, operationally, that the Ikon team did change from the one Advangen started with because meetings were attended by so many different agency staff. There was also no single point of contact at the agency, she argued. Alexis later turned his attention to the $750,000 sales targets for the Evolis product. Halasz claimed she signed the services agreement with Ikon on the back of the agency’s belief it could achieve such targets, a claim rubbished by the barrister. “You know the sales figures totalling $750,000 was provided by (Advangen sales director) Mr Rees to Ikon, don’t you?,” asked Alexis. Alexis produced an email from Ikon requesting sales figures from Advangen to help with its media planning. The email was dated two days after the services agreement had been signed. “The idea that you relied on sales figures has got to be wrong. Do you accept that?” asked Alexis. In other documents, Ikon told Advangen the campaign would reach 1.872m women aged over 35 – its major target market – at least three times. Assuming a 1% conversion rate that would achieve 18,727 sales and achieve the target of $750,000 worth of sales of Evolis. Halasz said she understood that to mean Ikon was confirming that it could hit the targets. Alexis said it was nothing of the sort, and was Ikon merely pointing out what needed to happen, not what would happen. He told the court that was illustrated by Ikon’s remark that conversion rates were “dependent on many factors beyond media”. Alexis also said Ikon had warned Advangen that a decision to ditch $190,000 worth of out of home advertising would see fewer sales of the product. Halasz agreed that the agency had communicated the decrease but said she did not think it was material enough to justify the out of home expenditure. Sounds like Ikon have a slam dunk case. If I engage an architect, approve their designs, have the place built, approve and take delivery, but then my friends don’t like it … can I sue? I did have some involvement with this client. Called in to try and generate some sales post Ikon. Clients have a responsibility to brief correctly, understand the media and creative plan and how it will be executed. I will say that in my view large Agencies like this have very little understanding of Direct Response media and what is required to make a DR campaign work. DR is hard work and Agency set and forget tactics don’t work. Not sure if the client was mislead in this case but the strategy was hopelessly flawed. OOH should use that last paragraph as part of a future campaign. Can’t believe any agency would touch these people ever again. What a joke. The client must have approved the TVC’s prior to broadcast. At the risk of sounding Sco Mo, there is an old saying, “ You pay, you pray”. No agency or media outlet can ever or should ever guarantee a ROI. As a publisher, I’m interested in the pre pay terms referenced by Icon to various media outlets. Has Icon revised its terms to media? The 45 days post publish of ad billing system, in effect means we are facilitating cash flow to agencies and puts strain on publisher cash flow. On one occasion we were caught up in an insolvency after providing a service and we did not get paid. So hair loss is a problem largely for men than so than women. What dunce made the decision to run the TV ads targeted at women and not men? Surely the logic would be to swap them around? A lot of communication problems here, I’m gonna get my popcorn out and watch this develop. This screams of a lack of control & direction from the client. If what was being proposed was off brief, why didn’t the client call that out during scope? If the poetic nature of the Directors ambitions with the brief wasn’t going to hit the mark with the audience, why didnt the client say so? A sales KPI of $750k on a billing of $575k, why didnt the client pull out when there was clearly no ROI? Am I missing something or was there a brief without a strategy? Take some responsibility for your own marketing guys, geez. This campaign will be interesting but not for the reasons everyone thinks. A defence from the agency will be contractually agencies are not required to act in the best interests of the client – and are technically and legally not an agent nor required to place client interests above their own. Which ultimately means the ‘media agency’ is no more liable than a TV network. Only way the client can claim anything is by showing evidence of misrepresentation by Ikon around what they claimed would occur (and what could reasonably be interpreted as an outcome) and what actually occured in both results and also the audit. • Company Pulls Ad After Poor Results. Let’s face it, hair restorer has been a tough product to sell since the earliest times. Dr Dulcimara, or the snake oil peddlers of the wild west began flogging a remedy for baldness on the same circuit as love potions, universal youth serum and beauty soap. We have had problems before here in Australia, from the lizard fat salve and snake oil peddlers of old, to the Doctor who wasn’t and his “healthy hair” ads of yore. Sometimes, if the nut is too hard to crack, you need to get a bigger hammer, or a sharper axe. I can’t believe a client approves TV creative the complains about it after the campaign has run. Hello anyone awake there? Who invests $575k for $750k sales?? Typical chief exec glossing over the details then trying to pass the buck it sounds like. This should be instantly dismissed and Advangen sound like they need more competency at the top. As a lover of irony, I really appreciate that the makers of a “hair tonic” are blowing up about being misled over spurious claims about effectiveness. I think the “sophisticated poetic backbone” needs to go to a chiropractor. I hope the client wins regardless. I noticed a lot of marketing agencies don’t truly care about their clients. Sometimes, marketing agencies know how to sell themselves but not their clients’ products and services. 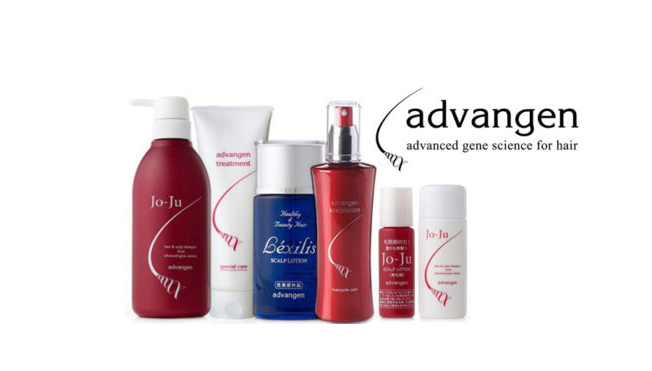 For the record Evolis has been proven to be clinically effective in preventing hair loss by the TGA and FDA. This isn’t snake oil. An interesting case…pass the popcorn.